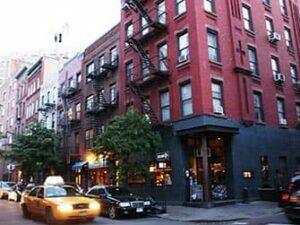 West Village New York is a neighbourhood in Manhattan. It’s a residential area, but is also full of nice shops and restaurants. In addition to lots of celebrities! 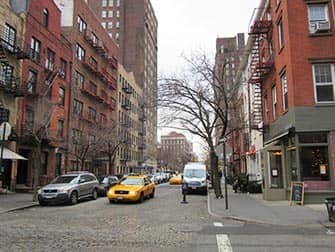 To give you an idea: the neighbourhood lies to the south of Chelsea, north of Hudson Square and South Village, east of the Hudson River and west of Greenwich Village. High Line Park connects West Village to Chelsea, Hell’s Kitchen and Hudson Yards. In northern West Village you’ll find the popular Meatpacking District. 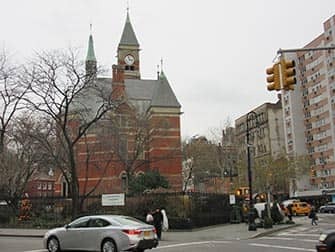 West Village was founded in 1916 and was quickly nicknamed “Little Bohemia”, due to the bohemian lifestyle of its residents. You’ll see artists’ houses, adding to the neighbourhood’s charm. 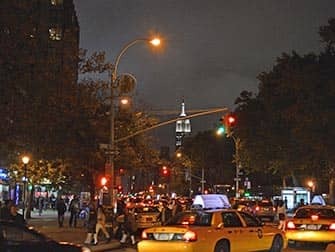 Another unique neighbourhood ‘quirk’ is the fact that its streets don’t follow New York’s grid system. This is not only confusing for you, as a tourist, but can be quite a challenge, even for New Yorkers. You really do need a map here. (Or not, because West Village is actually the perfect area to wander around aimlessly. You will come across great places doing so!). 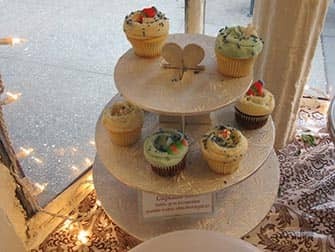 Visit, for example, the beautiful Jefferson Market Courthouse and famous cupcake shop: Magnolia Bakery. Broad, quiet, tree-lined streets (like Commerce Street), go hand in hand with cute cobblestone streets. This specific streetscape gives West Village its ‘European’ appearance. Looking beyond this cutesy impression, you’ll find a huge dynamic district, trendsetting and stylish. It’s busy, without the bustle. Locals enjoy drinks in fancy restaurants, and there’s a typical village-like atmosphere. In addition to the celebrities who live here, loads of bachelors populate West Village as well. People living in the area are young, highly educated creatives: you won’t find many children or elderly people. If you’re in the ‘wild’ west, it’s great to eat accordingly. 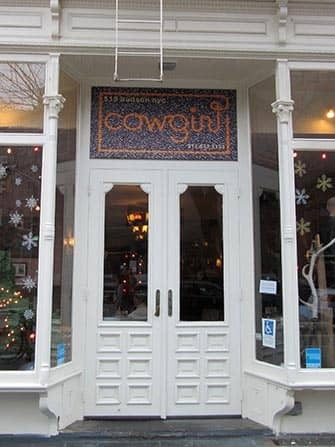 Cowgirl 519 Hudson Street, serves good Tex Mex/South American food. The kitschy appearance adds to the experience and the ‘baked potato’ dessert is worth a try! The Spotted Pig is also worth a visit and their kitchen is open until 2am. This place has a typical ‘West Village’ vibe, trendy but not pretentious. On their website they give the following dress code tip: ‘absolutely none’. 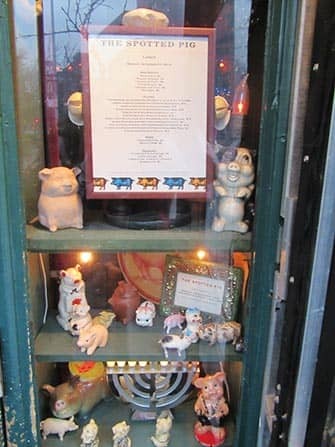 The Spotted Pig is proud of it’s West Village location, and it shows. The staff will even give you a map, to explore the area if you have to wait for a table, then they’ll call you, when your table is ready. Oh by the way, the food is English/Italian and delicious!